Fortnite has gained a lot of ground in the Battle Royale market since the mode’s release in late September 2017. The free-to-play PvP mode of the game owes much of its popularity to a lot of word of mouth promotion and popular streamers making it their sport of choice over the last several months. The King of Battle Royale — PlayerUnknown’s Battlegrounds — has been rolling on piles of cash having moved more than 30 million copies since going into Steam Early Access around this time last year. However, a report out today shows that Fortnite has now surpassed PUBG in both Twitch viewership and earnings for February. According to analytics from SuperData Research, last month PUBG raked in $103 million in sales, while the free-to-play Fortnite soaked up 126 million gaming dollars. What is interesting is that virtually all of Fortnite’s revenue comes from in-game purchases of cosmetic items. Battlegrounds sells similar virtual merchandise, but the majority of its revenue came from the sale of the game at $30 a pop. 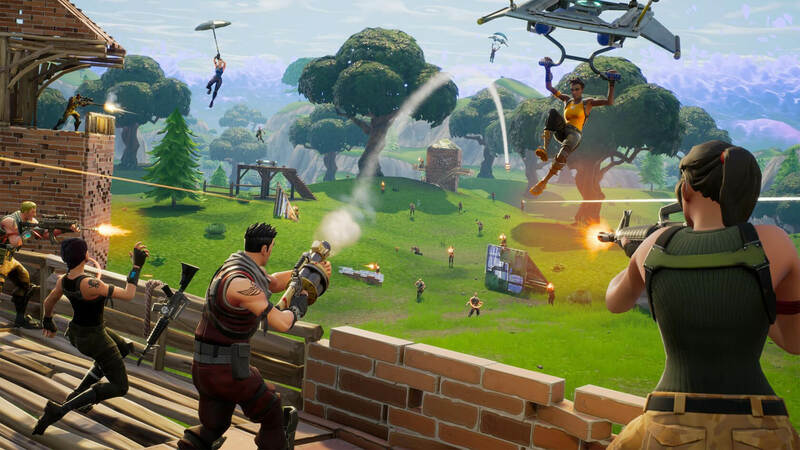 We also learned this week that with the explosive success of Fortnite, a majority of Epic Games' 700 staff are currently dedicated to working on the game. That is saying a lot for the game studio that has other things going on like development on the Unreal Engine, and work on games like Battlebreakers, UT and Spyjinx. During a GDC panel, Ed Zobrist, Head of Publishing at Epic said that Fortnite's Battle Royale mode was developed in a mere two months. In order to accomplish the feat, Epic brought over developers from the Unreal Tournament team, who did the bulk of the work given their expertise in arena shooters. "And it was the Unreal Tournament team that popped over to pick up the charge for us to basically put originally what we thought would be a PvP version inside our PvE game." It was also in the later part of those two months that it was decided Battle Royale would be free to play. Fortnite has an advantage of being available across all platforms including PlayStation 4. PUBG is unavailable on Sony’s console, and no plans have been announced to port it. Both games have also recently released mobile versions for iOS and Android devices that seem to be doing well. Not having a PS4 version might be a sizable chunk of the market that PUBG is missing out on, but I tend to think that Fortnite has the advantage mainly because it is free-to-play. Players tend to be more willing to make in-game purchases while playing titles they didn’t have to buy originally. They also tend to be willing to spend more than the average purchase price of a regular game. Something else SuperData points out is comparative viewership on Amazon's Twitch video streaming platform. At the beginning of the year, PUBG's weekly unique viewers sat around 10 million. That is twice the attention that Fortnite was getting. However, right around the beginning of February, PUBG viewers began declining while Fortnite had been on an upward trend since about January 20. As of February 26, Fortnite is host to 14 million unique Twitch viewers, while PUBG has dropped to about 8.7 million. While PUBG did make a bit of a rebound from its low point, the fact that Epic’s big boy is ranking more views is big news. Twitch is the most prominent game video streaming service on the internet and is very influential. Even YouTube and Facebook have been trying to wedge their way into Twitch’s action. PlayerUnknown cannot ignore these numbers. Exposure on Twitch directly correlates to concurrent players. More players mean more opportunity for in-game purchasing. While it is not likely that PUBG will fold because of a little competition, if developers do not do something to gain back traction with streamers, they may find themselves kissing the boot of their new King of Battle Royale. That will likely to leave a bad taste in their mouths considering they think Epic "stole" their idea from the start.